Landscape photography is all about light. Knowing how it works is crucial in creating beautiful images. 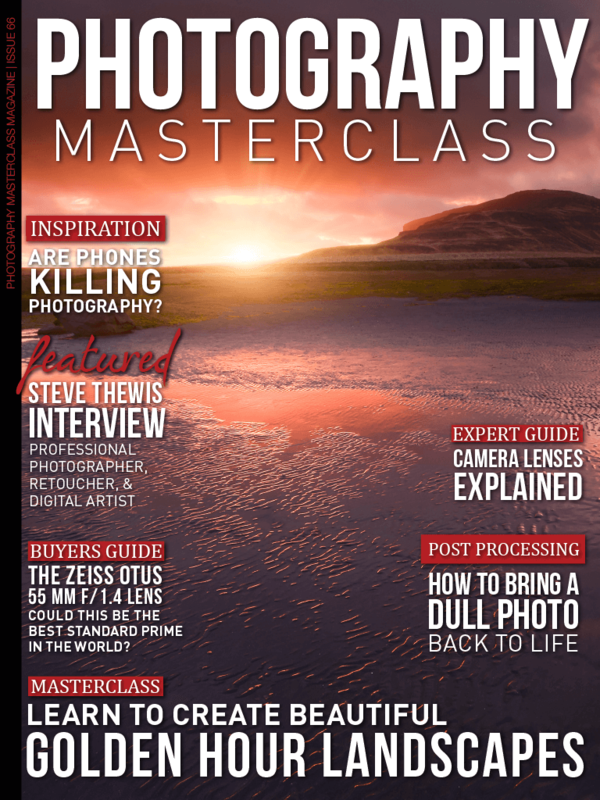 In this issue you'll learn exactly how to use soft and gentle Golden Hour light to create beautiful atmospheric images. We cover lenses in detail, in our expert guide, so you can make the right choice when purchasing, and you'll discover how to bring a dull photo back to life in a great Photoshop video tutorial. We also being you an in-depth interview with professional photographer, retoucher, and Digital Artist, Steve Thewis. And don't miss the lowdown on the Zeiss Otus 55 mm f/1.4 Lens, where we discuss whether this really could be the best standard prime lens in the world! Get All This and Much More In A Content Packed Issue!